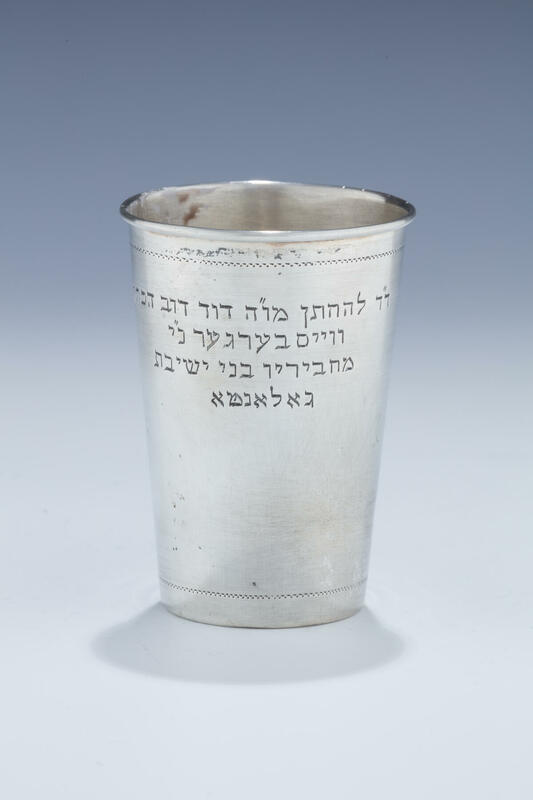 A SILVER KIDDUSH BEAKER. Czechoslovakia, c.1900. Engraved with Hebrew dedication: “THIS WAS GIVEN TO THE GROOM DOVID DOV (THE COHEN) WEISSBERGER WHO’S CANDLE SHOULD BURN FROM HIS FRIENDS AT THE YESHIVA IN GALANTA. 3.5” tall.